Notice:- All students will refer from this scroll bar. Beginning of the subject sociology –B.A.I- 15th June 1965, B.A.II- 15th June 1966 and beginning of the department B.A.III- 15th June 1967. The department of sociology come into existence on 15th june 1967 it was one of the pioneering departments of the college from the very begning the strength of the students in the department was commanding and encouraging. The eminent scholarsr. Gurunath Nadgonde and Ex- Principal Dr. Ambadas Madgulkar were the faculty member of our department. Our former HOD. Dr. Gurunath Nadgonde has written six books. He is the student of eminent social scientist Dr. Iravati Karave. 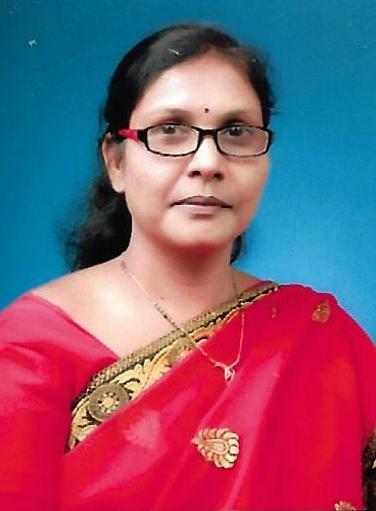 At present Dr. Meena D. Gaikwad working as Head of the Department. She has honoured Ph. D. Degree by S. R. T. M. University, Nanded. She has awarded as Best Teacher Award by Dr. B. R. Ambedkar Youth Foundation Solapur and University Student Association, Kolhapur. More than 150 research paper were prepared and presented in various conferences, seminars and research festival under the guidance of the faculty member Mr. Dinesh Patil and bagged number of prizes. The past students of our department working in various fields on various posts. Completed M.A.B.Ed., B.Lib, Passed SET and NET Exams. Got Chattrapati Shahu Research Scholarship –BARTI PUNE in 2015 and Got Rajeev Gandhi Research Scholarship of UGC, New Delhi At Present Doing Ph. D.
Working as a Village Development Officer In Swadesh Foundation-Mumbai Raigad Branch. Completed M. A. and MS-CIT, At Present woking in Global Infrastructure, Kolhapur. Completed B. A. After finishing completed the training organized by Warana Bazar, and At present working job in Warana Bazar. Completed M. A. At present working Job in Shree Warana Sugar Factory. Working Job in Warana Bazar. Completed B. A. DMC Working as a Technician in Preetam Enterprises, Kushire. Completed M. A., B. Ed., Working as a Teacher,Talsande. Completed B. A. DCE,Working as a Lecturer-Shirala. Completed M. A., B. Ed., MS-CIT. She has completed workshop on “Skill Development" Organized by MITCONS. At present she run confection. Completed B. A. with distinction and appeared for M. A. Completed B.A. At present Business Golden Jewelry. Completed M. A. Study of Competitive exam is ongoing, Doing job in Circle office. Completed B. A., B. C. A. –Doing Private Job.